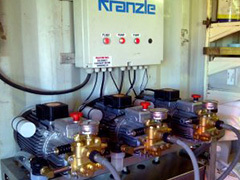 One unique benefit of doing business with Kranzle South Africa is that we have our own in-house manufacturing facility in Cape Town. 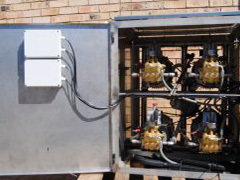 Here we assemble and manufacture our local machine options and customer-specific cleaning systems all centred around high pressure and the heating of water – this page gives you an idea of the broad range of different systems and projects we have completed to solve customer applications. 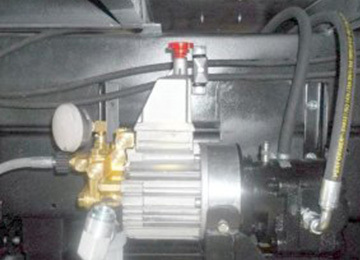 Customer requested a hydraulically driven pump to be mounted on a truck that is used on the railroads of South Africa – the machine would be used to clean pylons along the track. 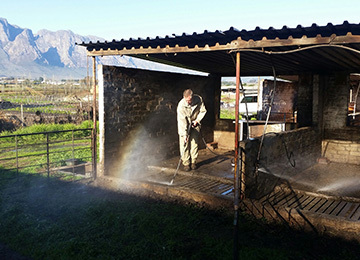 Installation of 4 Electra 48 electrically heated high pressure cleaners for the cleaning of train trucks in the steel supply industry. 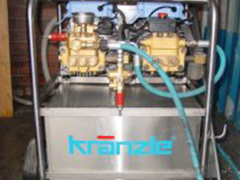 Poultry cleaning and foaming system for the foaming of poultry broiler houses – trailer mounted. 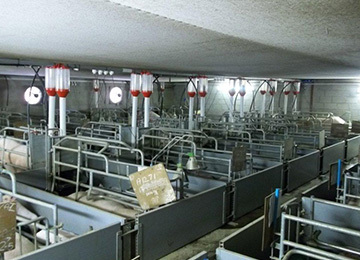 Centralised cleaning system with stainless steel piping for piggeries. 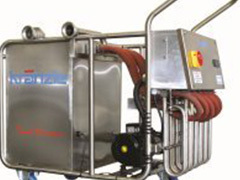 This system allows effective cleaning without the need to move a machine around in areas with minimal space. 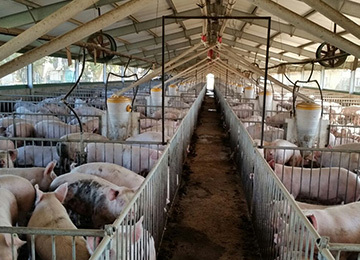 Minimal noise that greatly reduces stress to the animals as the machine is mounted outside with remotes in all areas to activate the machine. 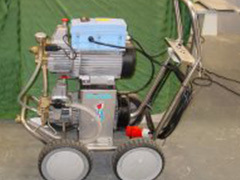 32L at 200 bar for bark removal from pine logs for use in log cabin construction. 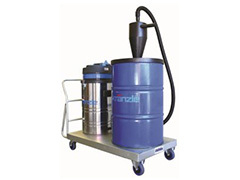 26L at 250 bar for removal of the ceramic mould after the casting of aluminium components used in the motor industry. 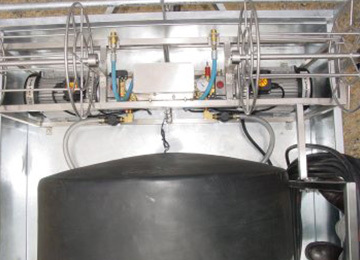 48kW Tank warmer to heat up solution of caustic detergent for circulation in a chemical tank to effectively clean oily and greasy residue – leading manufacturer. 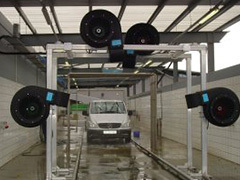 Drive-through carwash with blowers designed to clean in excess of 200 cars per day. 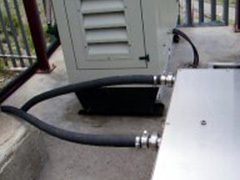 Interceptor tank vacuum system for vacuumation of high volume particulate dust that would clog normal vacuum cleaners. 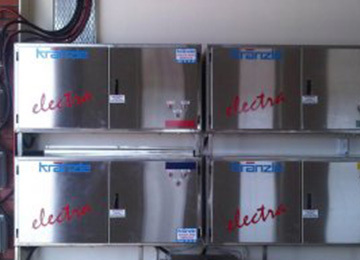 Tank warmer to heat the diesel tanks of generators on the top of the mountains in Lesotho – the purpose is to warm the diesel in the generator tank so that it can ignite in extreme cold conditions. 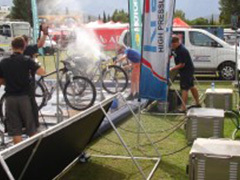 Bike washing cabinet machines to clean the 600 mountain bikes on a daily basis for the duration of 7 days of the Cape Epic.